Sir Henry Norris introduces himself but is quickly interupted by his master, King Henry VIII. Henry has risen early - at 4am - with the intention of going hunting. 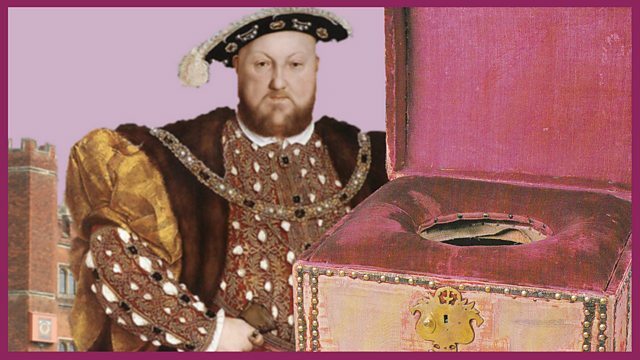 Sir Henry has been getting the King's clothes ready but must now tend to another matter - the King's 'easement', since his role as 'Groom of the Stool' requires Sir Henry to tend to the monarch's most private needs. Henry VIII remembers a jousting tournament at which he excelled and - his 'easement' now complete - he is ready for the hunt. The scene switches to the hunt where Henry VIII causes some alarm to Sir Henry by dismounting to despatch a wild boar on foot. As the hunt ends two poachers are brought before Henry VIII - it is John and his father from the previous drama A poor man's medicine. King Henry wastes little time on the poachers - they will hang. Then it's back to Windsor Castle for a feast.